Ambergen, A.W. (1993). 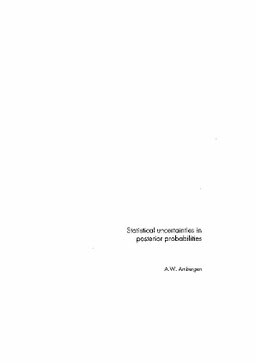 Statistical uncertainties in posterior probabilities. CWI Tracts. CWI.